There are two classes of sound, with infinite variety in each class. 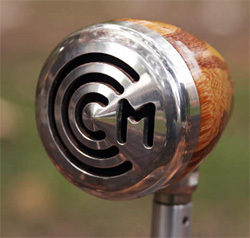 If you’re a classical musician, you’ll probably stand in front of a stand-mounted microphone and you want the amplified sound to cleanly reflect the tone of your playing – giving the closest representation of what it would be like to be in the same room with you, with no microphone or amplifier at all. We call this kind of sound “acoustic” even though it may in fact be picked up with a microphone. When I talk about acoustic playing, I do not mean “not amplified”. I do mean, however, that the microphone is in free air – that is, on a rack or a stand, and not in your hands. If you’re a blues musician, you might want the fatter, more distorted sound that is so prevalent in the genre. We call this style “amplified” style as opposed to “acoustic”. (Hey, I didn’t write the rules – sorry if it’s confusing!) In this case the microphone is almost always hand-held. Jazz, country, bluegrass and other styles often find themselves between these two extremes. Acoustic amplification is straightforward and can be effectively done with modern, relatively inexpensive gear. A standard vocal mic like Shure’s venerable SM58, plugged straight into the PA, is a safe bet and usually sufficient. 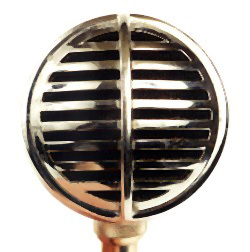 Lapel mics, which are usually of the “electret condenser” type can also be used, although most harp players prefer a dynamic or ribbon mic for acoustic playing. Good acoustic tone is largely a function of the player’s tone in the first place, so for now I’m not going to talk about acoustic microphones specifically. However, one essential piece of wisdom is that your distance from the microphone makes a huge difference in volume. It is, unfortunately, rather easy to hurt people’s ears when you walk up to an acoustic mic that is set up for someone to sing through at a distance of 6 inches, and you play loud harp right up against it, or worse, pick it up and cup it. The secret to good acoustic tone through a microphone is to learn to play quietly! If you sing and play through the same mic, a volume control on the microphone is a very useful tool. Where does “amplified tone” come from? To understand the amplified sound, we need to talk about the interaction between the player, the amp and the mic. Where does that big fat gritty sound come from? It comes from a combination of your technique, the microphone, and an amplifier’s tendency to add distortion in the form of manufactured notes (related to, but not the note or notes you’re playing). These notes are called “harmonics.” This distortion can occur simply because the amplifier itself is operating beyond its “clean” volume range, but as players we have control over the degree to which it occurs by our own technique and microphone choice. Amplifiers – Tubes vs. Transistors? An important characteristic of tube amplifiers is that they tend to produce “even ordered harmonics” and “analog clipping” when they distort. These can be pleasing to the ear. Solid state amplifiers tend to produce “odd ordered” harmonics and “square wave” clipping when they distort. These can be very harsh. As a rule, either kind of amp played cleanly/acoustically will sound fine. But overdriving a solid state amp, such as any modern PA, or some modern guitar amplifiers, usually results in harsh sound. There are exceptions to the rule, but that’s the subject of an entirely different article! However, a very important advantage of the tube amplifier is our ability to manage feedback through tube substitution to lower the amp’s gain. More on that later. Watch out for Greg’s next post on the mechanics of cupping. What microphone would you recommend to use while playing a 64 reed classical harmonica to an audience? Hi Alex. I’m tempted to say a big one, but let’s put it out there and see what folks suggest. Hi Alex, we got in touch with Greg Heumann and he kindly offered the following advice..